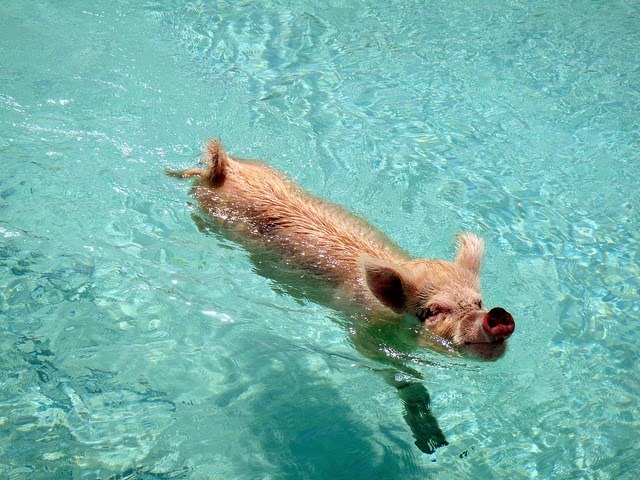 Apparently, there is a herd of wild swine in the Bahamas who have learned they can swim out to tourist boats to get tasty snacks. You can read more about it here. Caution: If you watch the video with our four year old (as I did) you will likely be pestered the rest of the days to "see the piggies again."